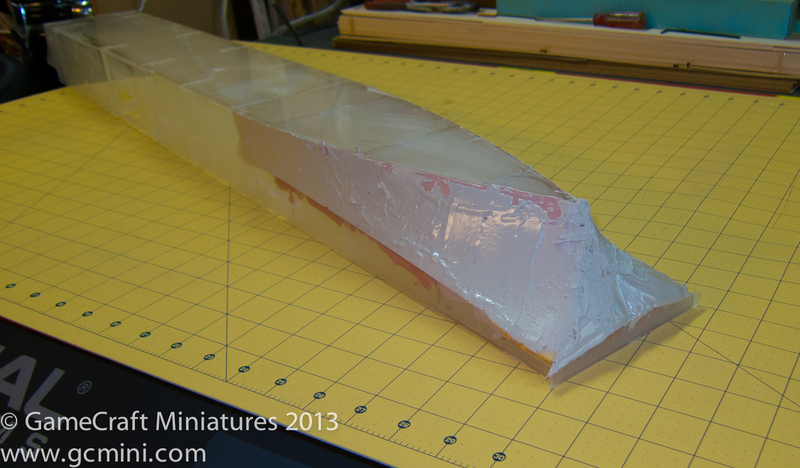 It’s looking like a bit of a disaster right now … but it’s all part of the process. 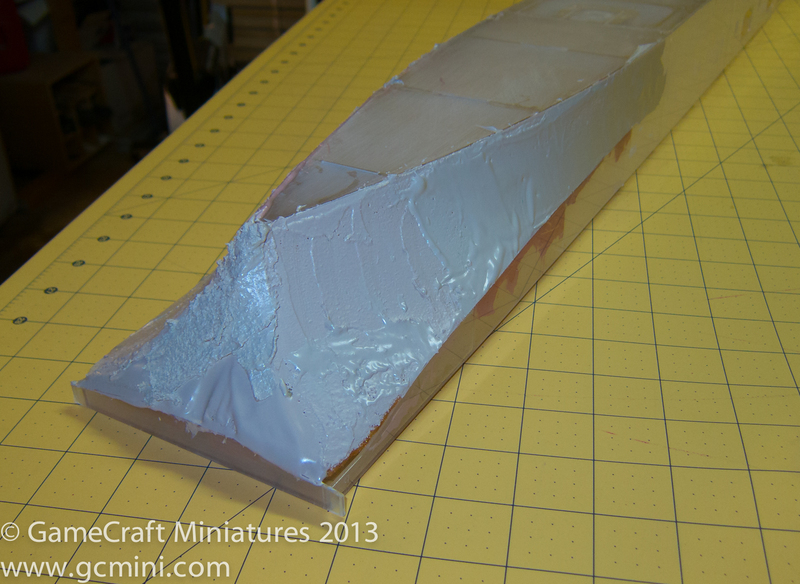 First low density foam was applied and shaped down to the approximate shape desired and then sanded down a bit more so it would be slightly under final desired profile. 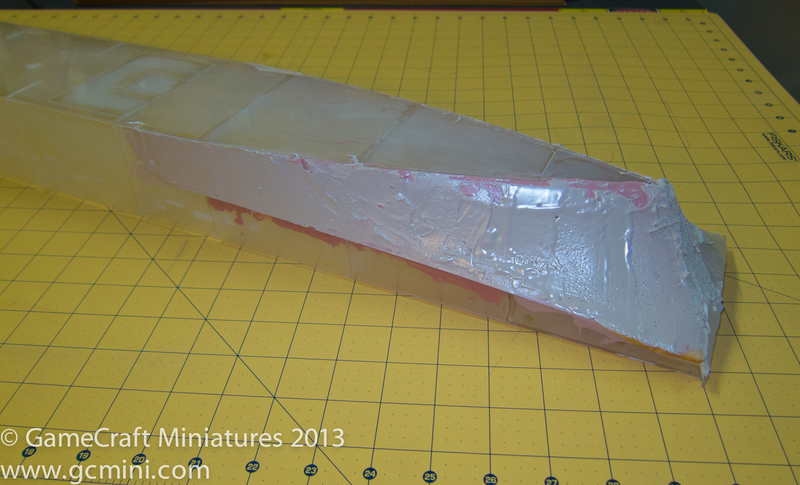 Then a whole bunch of bondo is applied over the foam and it will be shaped down to the final shape. This entry was posted in Ships, US / NATO Micro Armor and tagged 285th, Ship, USS Wasp, Wasp by Allen. Bookmark the permalink.